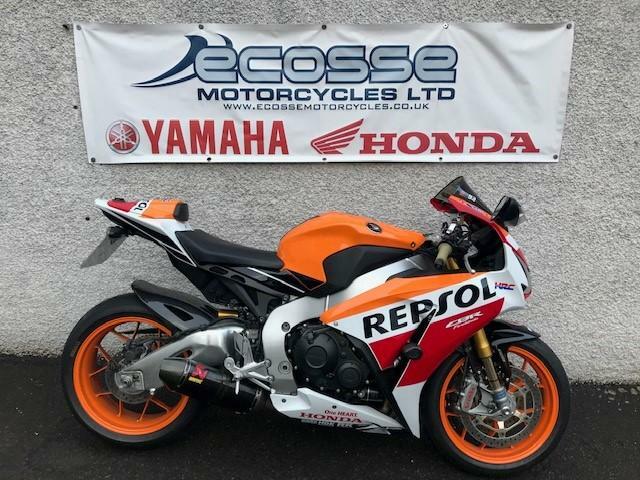 THIS LOVLEY HONDA CBR1000RR FIREBLADE SP REPSOL IS IN FANTASTIC CONDITION. HAVING JUST HAD A SERVICE INCLUDING OIL AND FILTER AND CHAIN AND SPROCKET THIS BIKE IS READY TO GO FROM OUR SHOP! COMES WITH HM QUIKCHSHIFTER, AKRAPOVIC EXHAUST AND CARBON REAR HUGGER.